Despite missing the package holiday market, Spain’s sun also rises northern coast is where you will find some of the most breathtaking beaches in the country. A gem of the mountainous Basque Country, San Sebastian is on the Bay of Biscay between Bayonne in France and Bilbao, Spain. 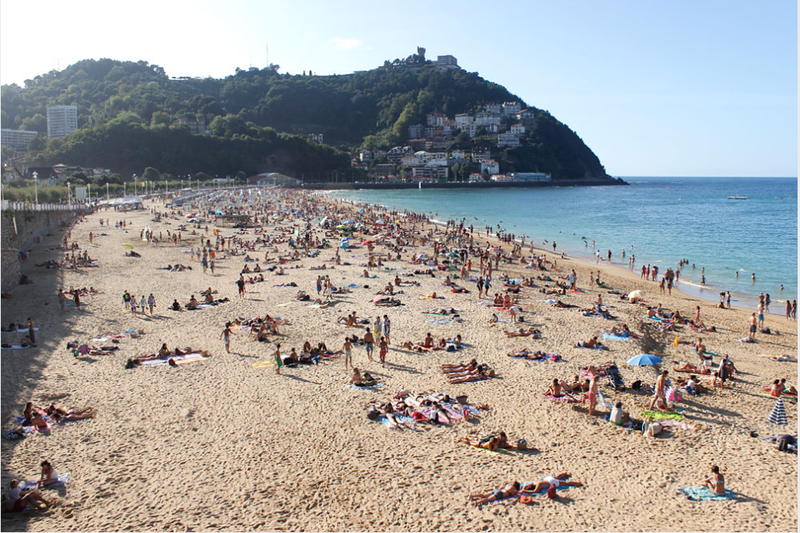 San Sebastian’s trio of beaches will please any serious sun/fun afficiando. The most-visited beach is La Concha, with 1.5km of fine, white sand and turquoise waters. 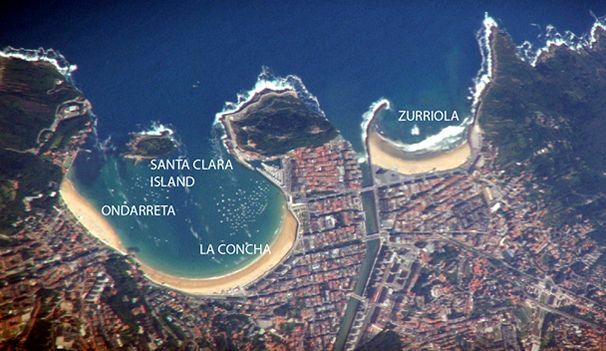 La Concha is one of the most famous urban beaches in the whole of Europe. La Concha offers terrific people watching from the cement railings of the embarcadero. Beach shrinks considerably during high tides. The liveliest beach in San Sebastian is Zurriola, which tends to attract a younger crowd thanks to the excellent surfing opportunities on offer. Ondarreta Beach is another of the city’s popular beaches, and here you will find plenty of people playing beach tennis, volleyball and football — Ondarreta is a great beach to visit if you like to keep active while soaking up the sun. Also is a better bet to find a spot on the beach during high tide. San Sebastián has a reputation for world-renowned restaurants helmed by innovative chefs. 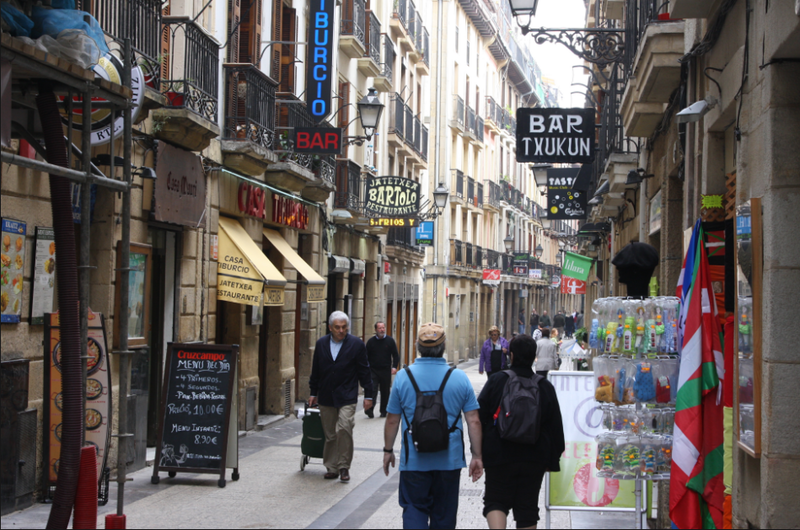 In its cobblestoned old town (Parte Vieja), upscale shops neighbor vibrant pintxo bars pairing local wines with bite-size regional specialties.